After a weak year, Abercrombie & Fitch is searching for ways to return its business to positive growth. One avenue it&apos;s exploring? Selling third-party products in its stores and acting as a wholesaler to outside retailers. In its earnings call on Wednesday, CEO Michael Jeffries said that it&apos;s become apparent that the retailer needs to start thinking "outside of the confines of our existing vertical specialty retail model." That includes adding other brands to its offerings and proliferating its retail presence through third-party stores. Jeffries pointed to last fall&apos;s partnership between Keds and Hollister as a successful example of that kind of cross-pollination, which will continue this spring. "We have a long list of additional collaborations in the works, across footwear, apparel and accessories, which we are excited to launch in the coming months," Jeffries said. When it comes to selling wholesale to third-party retailers, Jeffries noted that it&apos;s something that Abercrombie is "just starting to look at," but it&apos;s interesting in terms of volume potential. The company is already planning to go deep into selling third-party brands in its own stores, however. It&apos;s an attractive proposition as a "positioning device." Read: Leveraging other brands&apos; good names could give Abercrombie back some of the cachet that it&apos;s lost in recent years. According to its full-year earnings report, the company noted that sales dropped significantly during the holiday season with no signs of letting up just yet. Net sales for 2013 dropped to $1.29 billion from $1.47 billion in 2012. Performance in women&apos;s apparel is also weaker than it is for men&apos;s, so the retailer will be putting a renewed effort into building up its women&apos;s business this year. 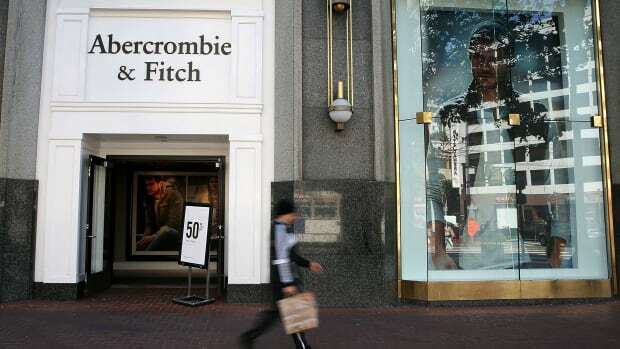 Abercrombie & Fitch expects to close 60 to 70 stores in the U.S. this year, although it&apos;s opening locations abroad in China and the Middle East. Comparable store sales in China increased 35 percent in 2013. As in the U.S., European stores saw a significant slide in sales, except in Scandinavia. Its men's product is still in need of improvement, though.